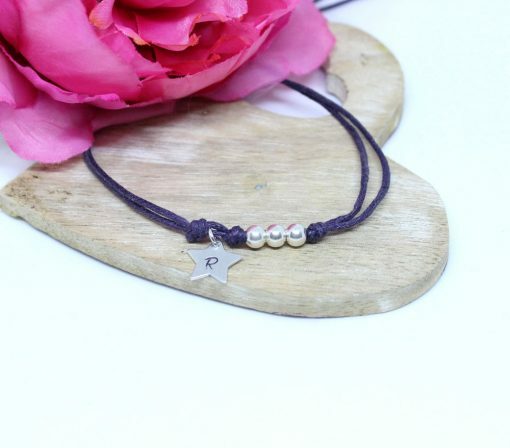 These gorgeous cotton friendship bracelets make the most gorgeous personalised gift. 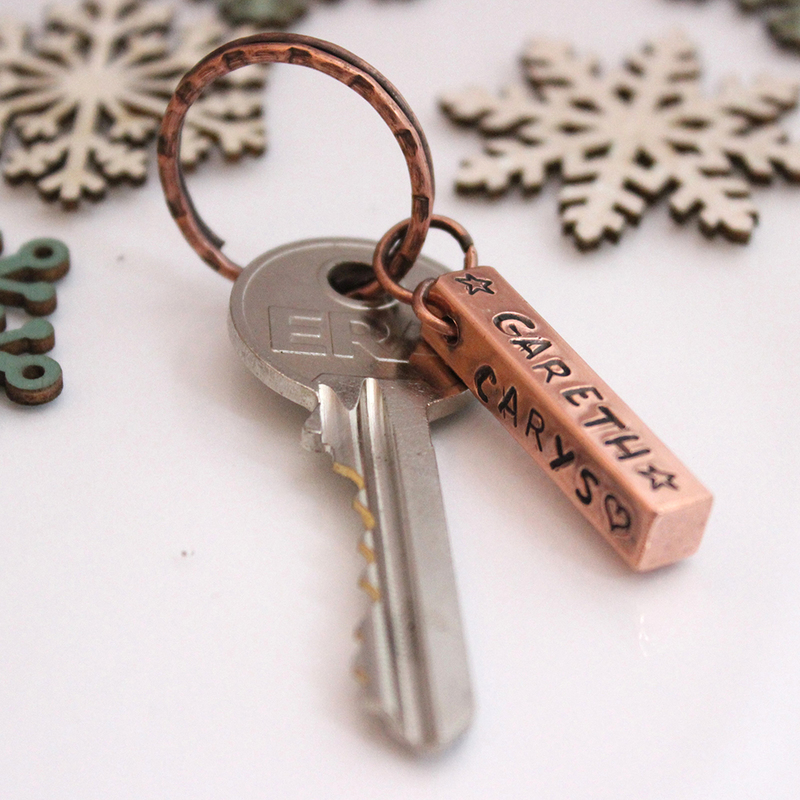 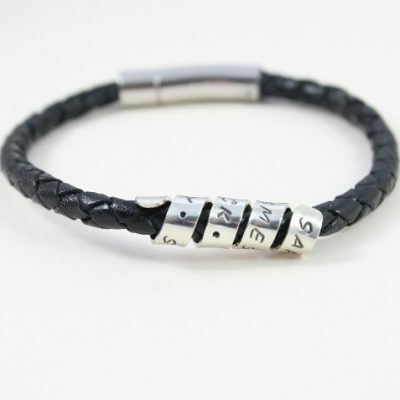 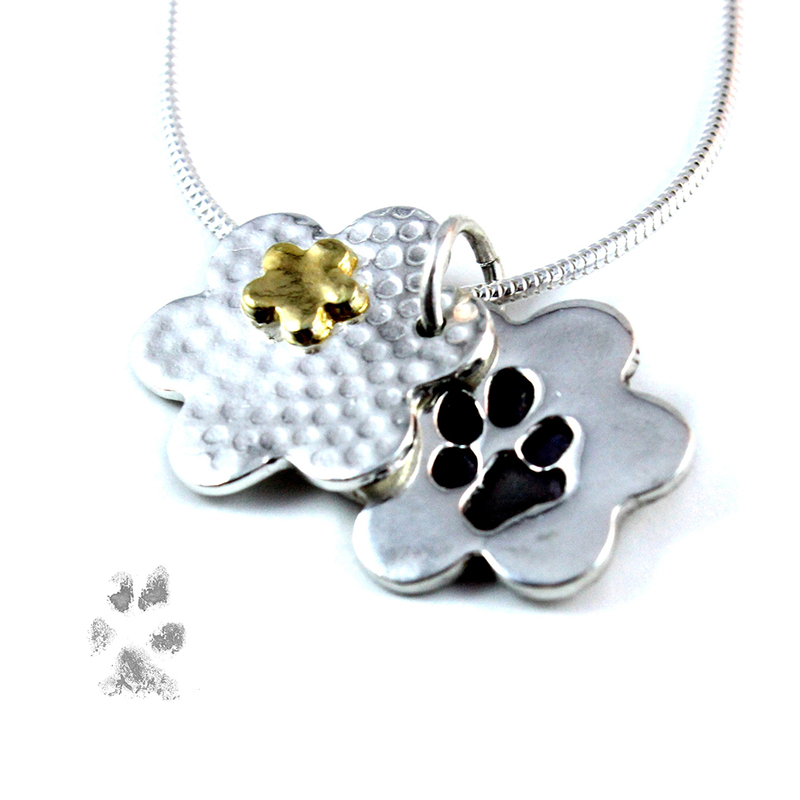 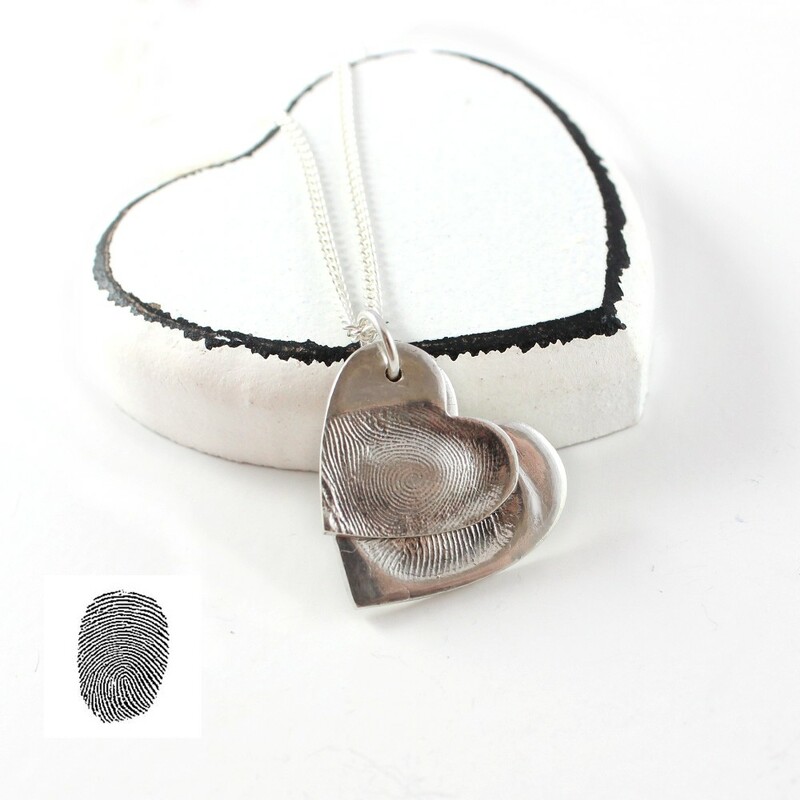 Each one carries 3 sterling silver wish beads and either a sterling silver heart or star with the initial of your choice stamped onto the surface. 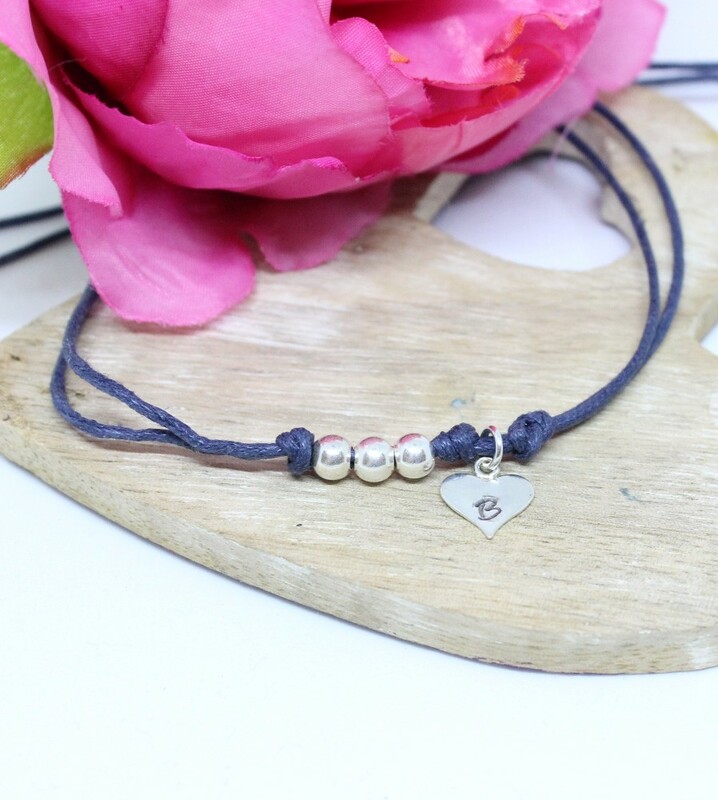 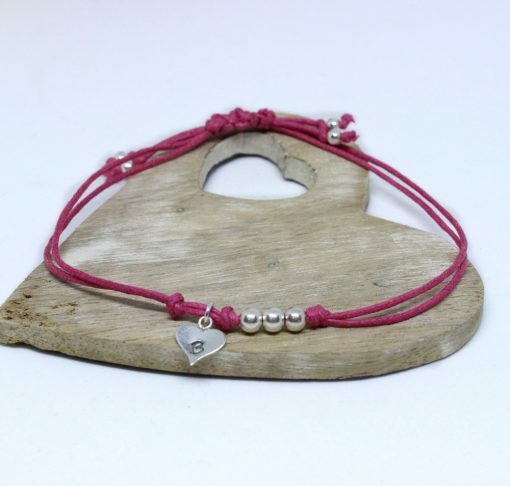 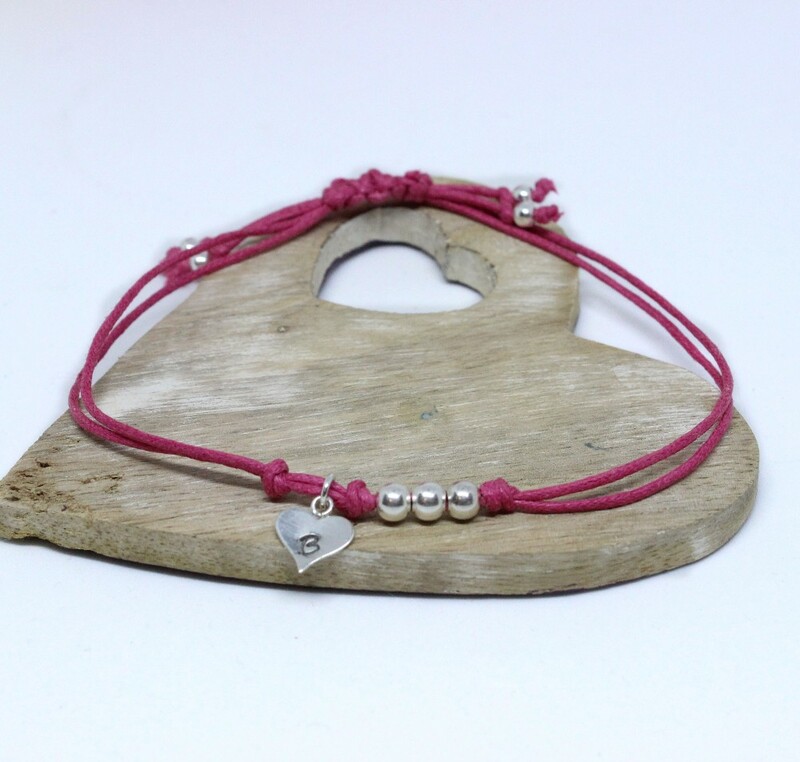 One size fits all as the bracelet is adjustable and the ends are finished with 4 smaller sterling silver beads. 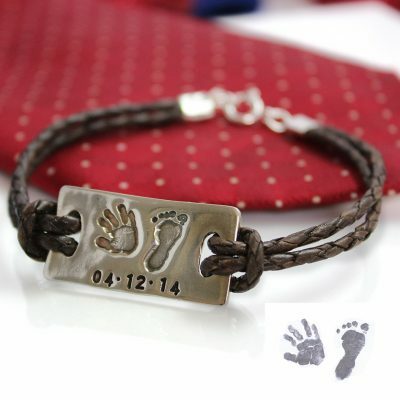 PLEASE NOTE EACH BRACELET IS MADE TO ORDER AND DELIVERY WILL BE 2-3 WEEKS FROM ORDER DATE.